Alicia Beach is one of those wonders of nature, which appeared out of nowhere in 2003, after a storm, taking locals by surprise. Until then, the only beaches to enjoy in the area were Sosua Beach, Casa Marina, and Imbert; and a tiny one called Playa Chiquita. Alicia soon became the favorite uncrowded, postcard-like paradise spot for those who chose to be in a quieter spot, away from beach vendors and crowds. Prior to 2003, Alicia beach was a rocky cliff, from where people saw sharks feasting on the local slaughter house`s dumping of meat leftovers. Some used the cliff to jump and swim in the shore when there were no sharks. A signature restaurant of Sosua, The Waterfront, has been witness to the shifting changes of the coast and the birth of Alicia. Alexis, the waiter from the restaurant takes orders straight to the beach, so being in Playa Alicia ( as locals know it ) can be a great gastronomic experience as well as pleasing with its clean, crystal water. JEWISH MEMORIAL: The top of Playa Alicia is the parking area, and the vantage point on top of the hill was turned into a Jewish Memorial Park, honoring the Jews that founded Sosua in the 1940`s. A casual food restaurant, Steven`s, is on the right corner. It offers the best place for a cold beer, a pizza or quick sandwich. This 300-meter long beach is used every morning by joggers and other sports people to work out, walk the dog or go for a morning swim. Some events also take place in the mirador, the upper terrace where the memorial is located. 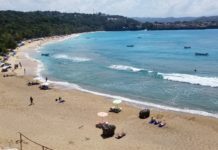 Several tour operators from Santo Domingo and Santiago bring student groups to spend a day in the beach, also other tourists visiting Sosua and staying in hotels and villas. THE BIRTH OF A DOMINICAN BEACH: Beaches are made up of eroding material transported from elsewhere, and deposited by the sea. Constructive waves are responsible for the creation of beaches, and the geology of the area, the wave energy and type of material ( sand or single ) are key elements. Alicia beach has a profile of about 300 meters long by 100 meters deep ( North to South ); that is roughly 981×329 linear feet. It is made purely of sand, which created a bank that covered a depth of about 6 meters. A similar event occurred during mid-2007 when a new beach formed in the Puntilla of Sosua, right by the shores of the Piergiorgio hotel. That one took several days and could be watched as the sand shifted from other locations along the coast ( see link below for the article ). The material found on a beach varies in size and type, and the smallest is always near the water, the larger at the back. Since most waves break near the shoreline, sediment near the water is more effectively broken down by attrition. A natural occurrence, since waves sort these materials according to its weight, thus the finest sand will be right next to sediment. Together with Alicia, Casa Marina, Imbert and Playa Chiquita, Sosua offers some of the best places for every taste; the vibrant, the quiet, the poster-card beach lover. 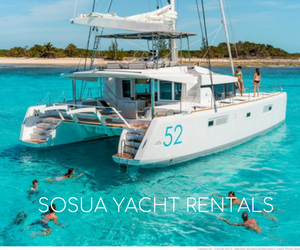 There are regular updates and live video of all the beaches in Sosua, on the Sosua Beach Facebook page of this website.